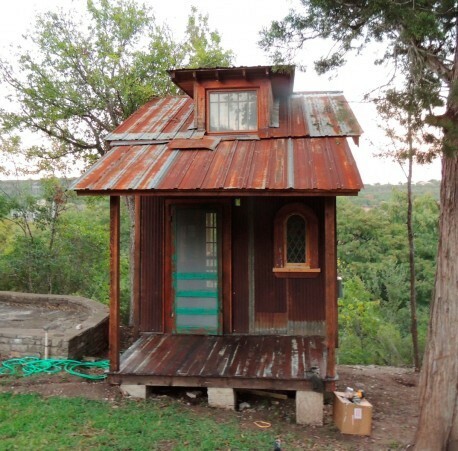 The Tiny House Movement is growing rapidly in the United States. 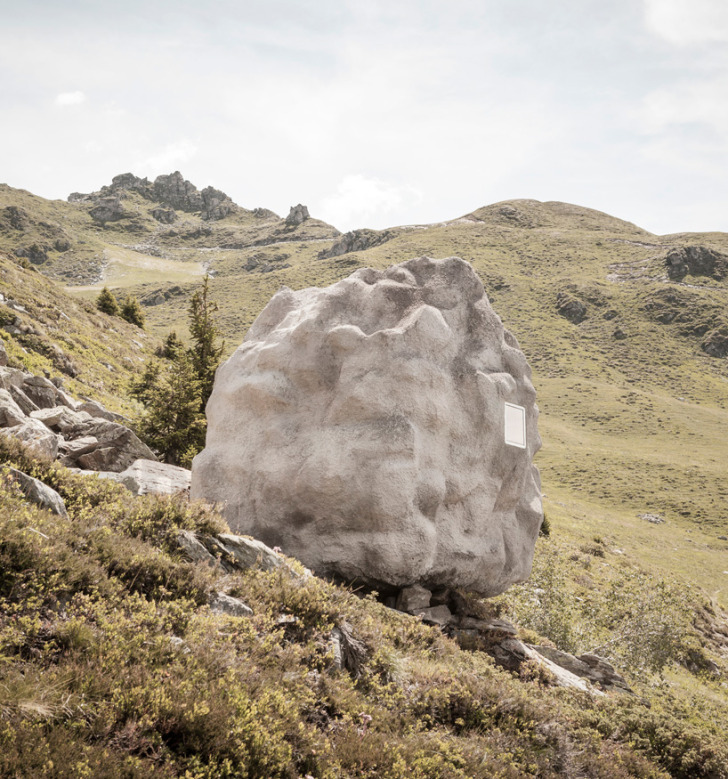 There are a lot of cultures around the world who have already discovered the greater simplicity, freedom and happiness that comes from minimizing your “stuff” load and living in a small home. In the U.S., though, the trend for years has been toward McMansions and the “more is more” philosophy: more space, more stuff, more debt, more hours at work, the list can go on and on. The Tiny House Movement provides an outlet and an alternative for people looking to have more creative control over their living spaces and, in turn, their lives. 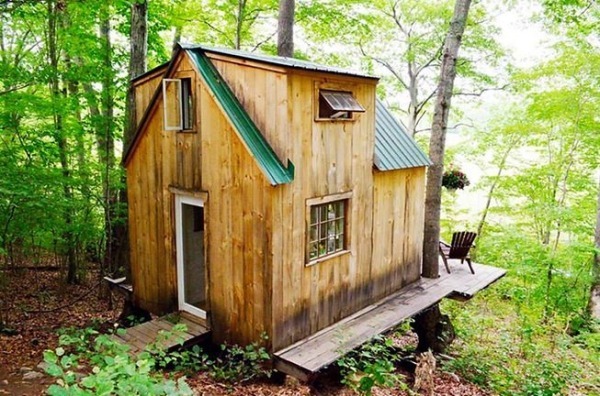 These five books are a good starting place if you are interested in tiny homes and want to learn more, are looking for some inspiration and ideas, or if you are an experienced tiny house dweller or builder. 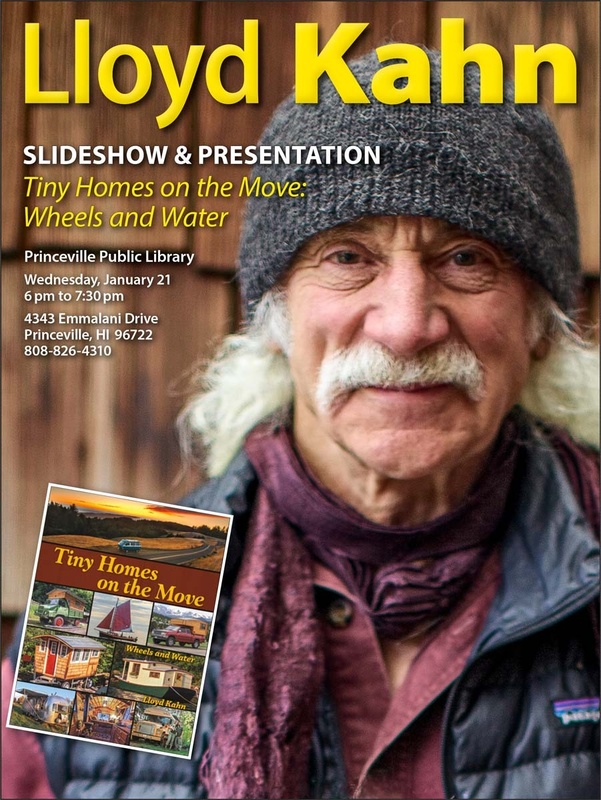 I’ll be giving a slideshow and talk this Wednesday, Jan. 21 on the garden island of Kaua‘i, discussing our most recent book, Tiny Homes on the Move. Got friends on Kaua‘i? Let ’em know. At the Princeville Library, 6 to 7:30. I built a cottage for the local suburban farm outside Cleveland, Ohio. It took 2.5 of us and some weekend volunteers about three months to build. 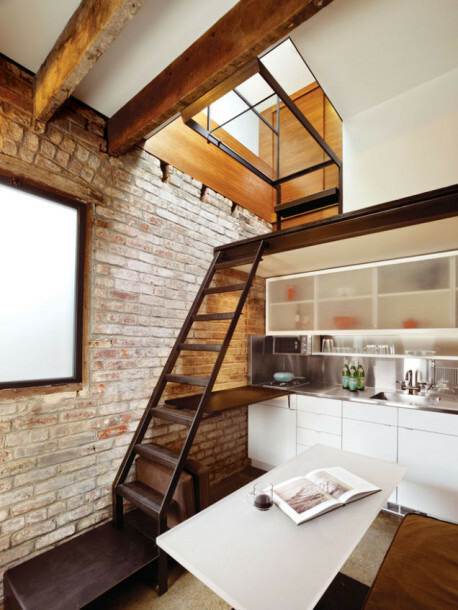 It is 200 square feet plus a bump-out window-bed and a 100-square-foot loft. 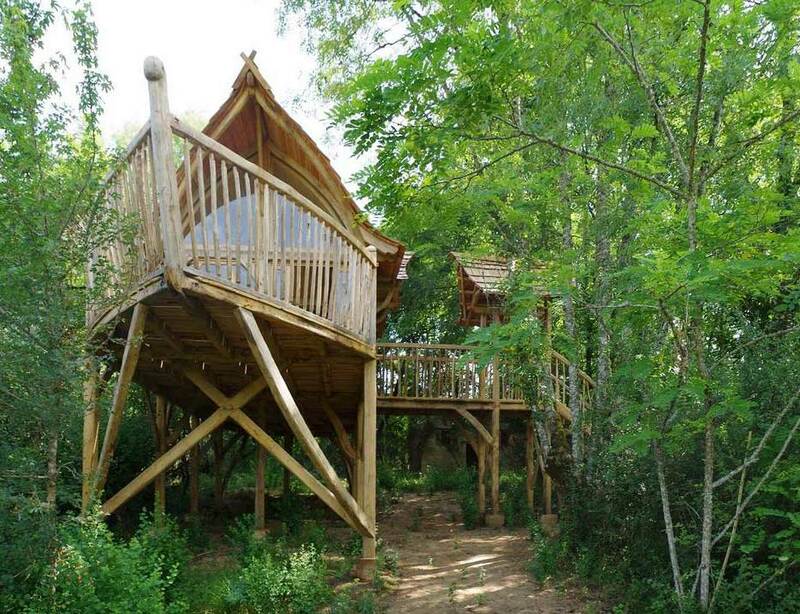 The round poles and lumber came from the firewood pile on the property. We had an Amish miller come out with his trailer band-saw and slice up the bigger logs into live-edge boards for the ceiling and window bucks. 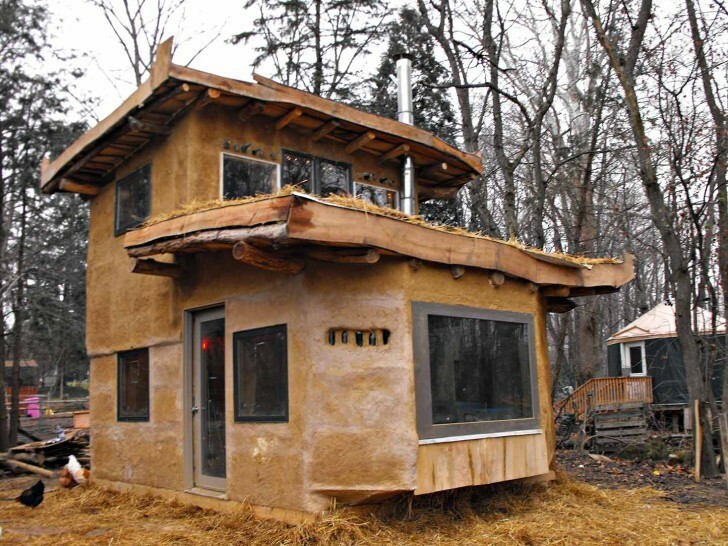 The walls are insulating clay-straw. The windows came from the local Habitat Restore. The interior is plastered with tinted drywall compound. The floor is local clay and stones sealed with hemp oil. The heat source is a small rocket mass heater. The chimney goes back and forth through the clay floor to heat it and keeps the building warm long after the fire is out. …We used the clay — excavating to dig a swimming pond just behind the cottage. 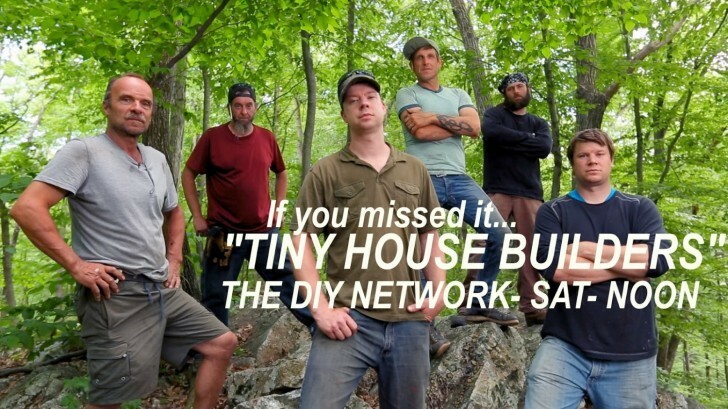 This summer we will do a two-week cottage building workshop at the same site for anyone who wants to learn how to build their own. Email Info@unclemud.com for more information. The thriving tiny home movement is a double-edged sword for companies selling their vision of small living, as it’s tougher than ever to stand out from the crowd. 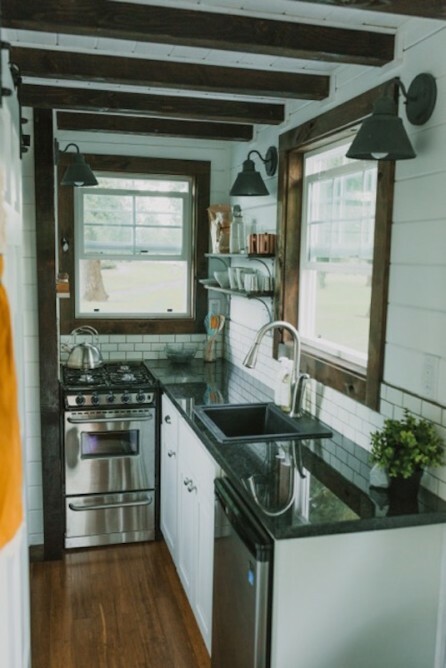 Oregon City–based small home firm Heirloom aims to get noticed with a luxurious off-grid tiny house on wheels that boasts an excellent finish and more amenities that you might expect, considering its size. In addition, an interesting automated house control system that’s controlled via an iOS or Android smartphone will soon be available at extra cost too. 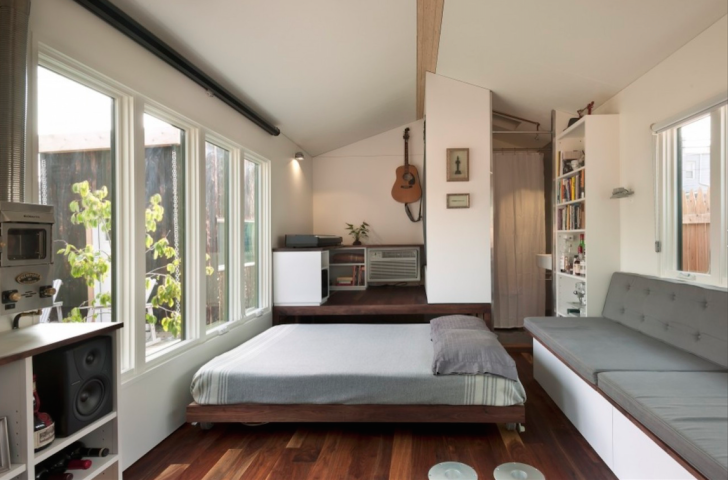 The light coming in from all around — no claustrophobia as with many tiny homes. This place is plain and simple on the outside, and thoughtfully laid out on the inside. Brian Levy is leading his own quiet experiment on a pie-shaped, 5,000-square-foot lot in Northeast Washington. As new homes get larger and larger in many neighborhoods throughout the region, Levy is attempting to prove that less is more. There’s residential design, and then there’s jigsaw puzzle design. 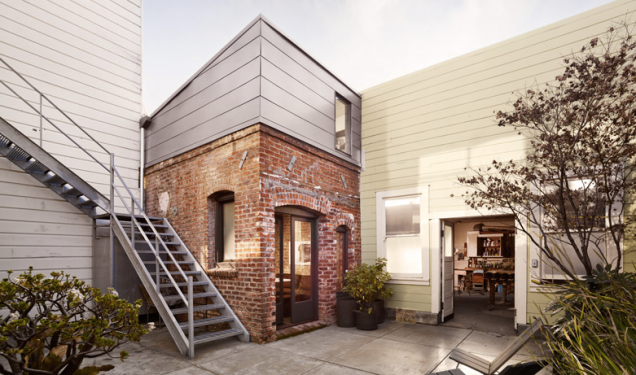 This elegant project by the San Francisco architect Christi Azevedo, who wedged a full guest house into a laundry and boiler room from 1916, falls somewhere in between the two. Madison’s newest and smallest neighborhood makes its debut. Tiny House Village on East Johnson Street is a project to offer shelter to some of Madison’s homeless population. Occupy Madison created it three years ago with a goal of helping the homeless get back on their feet.